I am a strong believer that beauty products can make us feel really great. Whether it’s a cleanser that makes us glow, a lipstick that gives us confidence or a perfume that evokes great memories, these products can effect us positively on a psychological as well as aesthetic level. So anyone who says that a passion for beauty products is shallow is mistaken. I discovered “Everyday Oil” a few months ago. I was feeling particularly run-down with work, the kids and a house move on the cards and my skin and health were really suffering. I made a few changes including taking probiotics, banning myself from looking at my mobile in bed and writing down all my ideas/ thoughts in a notepad rather them letting them swim around my head all day and night. Another thing I did was ship in a bottle of oil which not only makes my skin look and feel great but has the most beautiful/ relaxing scent. 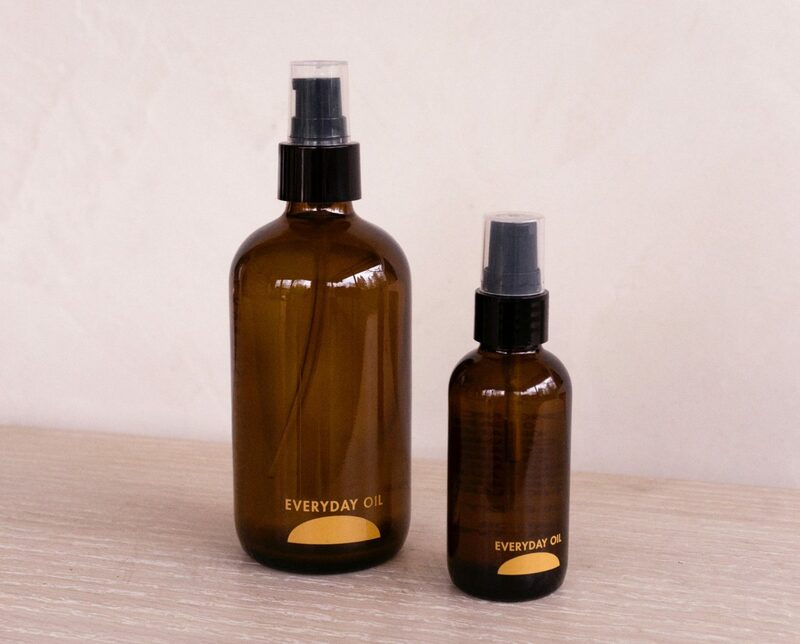 Everyday Oil is a blend of 14 really high quality oils and that’s it. No parabens, no fillers, nothing nasty, just gorgeous ingredients that will do you and your body the world of good. It’s also the ultimate multi-tasker and can be used from head to toe. I personally use it as a cleanser, moisturiser, hand treatment and body oil. I had a really annoying eczema patch on my leg over the summer and it really helped calm my skin. When I use it as an over-night face oil I always wake up glowing. The smell is also incredible. It is relaxing yet uplifting. The scent is of a woman I am not (but would at times love to be). A relaxed, overtly healthy person who wears floaty skirts, has a natural glow and only needs a coat of clear mascara and a pinch of the cheeks to look perfect. I imagine that someone like Deliciously Ella might shun traditional perfumes and leave a trail of this scent wherever she goes. Annoyingly the oil is only available in the US at the moment so you’ll either have to get a friend to pick some up for you or you can get it shipped over (which isn’t cheap) via the Everyday Oil website.